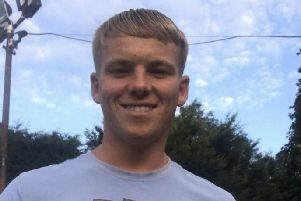 A mum whose son died from an accidental overdose said she hopes changes will take place to stop others suffering from mental health problems from slipping through the net. Joseph Harrison, known as Joe, was just 22 when he died in February last year. Pictured left, Joseph Harrison aged two with his brother Nathan, four. He had been regularly taking cocktails of several types of prescribed and non-prescribed drugs including methadone and valium. Joe’s mum Paula, of Norfolk Street, Skerton, said after a verdict of accidental death was given that she felt “let down” by the system and she hoped something would change before someone else died in similar circumstances. She said: “Joe has lost his life and it is awful to think that this could happen to someone else. It’s wrong. “I feel let down and I would like to see something change. “He had 34 overdoses. How many times can someone be in hospital and still be a low suicide risk? “There was obviously something going on in his head and that’s why he kept taking medication. It wasn’t normal behaviour. Joe was found at his grandad Roy Harrison’s home in Riversway, Main Street, in the early hours of February 16 2014. A post mortem found he had died from methadone toxicity, exacerbated by other respiratory depressant drugs. Tests showed he had a number of drugs in his sytem, including a high level of methadone and lower doses of prescribed sedatives. Diagnosed with ADHD at the age of seven, Joe was prescribed Ritalin until he was 13. Mrs Harrison told the inquest Joe had started taking drugs as a teenager. After a stint in jail she discovered he was taking valium, diazepam and tramadol. She said: “I would come home and find him unconscious with empty tablet packets next to him. “He would tell me he wouldn’t die and that he knew what he was doing. Joe was sectioned in Ridge Lea under the Mental Health Act in May 2011. He had taken an overdose and was in and out of hospital on several occasions. Joe also had spells in psychiatric intensive care units in Blackburn and Blackpool. Mrs Harrison said she asked for help after seeing Joe and not recognising him in December 2013. She had feared he might be on heroin. There were also concerns he was becoming psychotic, having paranoid thoughts and hearing voices. Mrs Harrison last saw her son the day before he died. Later that day Joe visited his grandad, where he went to sleep at around 11pm. Mr Harrison woke up at about 2am to find his grandson unresponsive. Joe’s GP Dr David McDonnell said he had never had any concerns that he would take his own life. Dr Simon Beldebos, in-patient consultant for Lancashire Care NHS Trust, said Joe’s case was “very complex”. He said: “It was very difficult to disentangle the mental health issues from what was caused by the substance misuse. “We were worried that he was trying to treat himself. “When Joe was well he was a lovely boy; he was engaging and funny and very sweet.